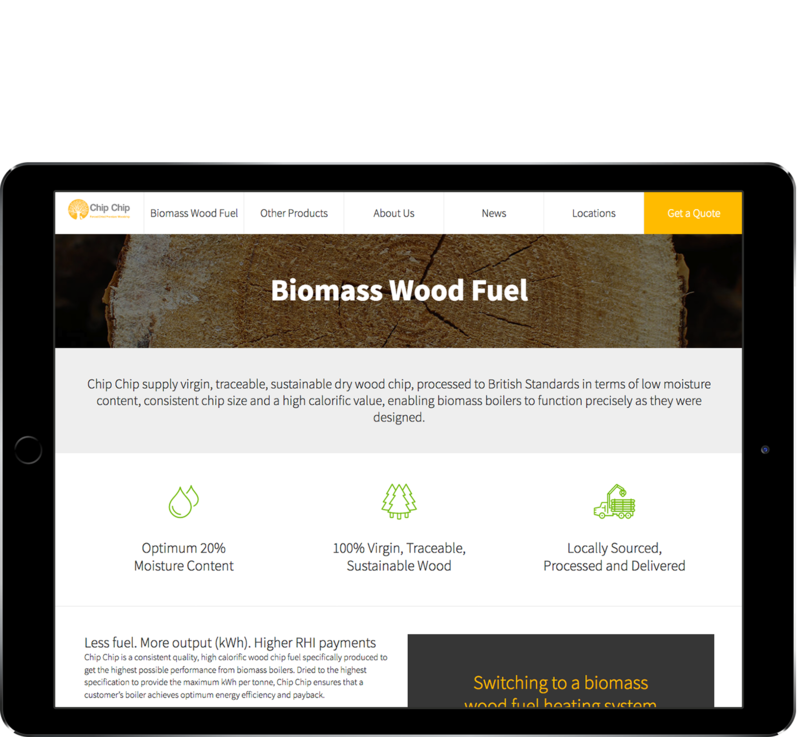 Chipchip are a local Biofuel company who specialises in clean energy efficient wood chip fuel for biomass boilers. They currently have 10 locations around the UK and are growing a strong reputation for fine quality fuel and good customer service. 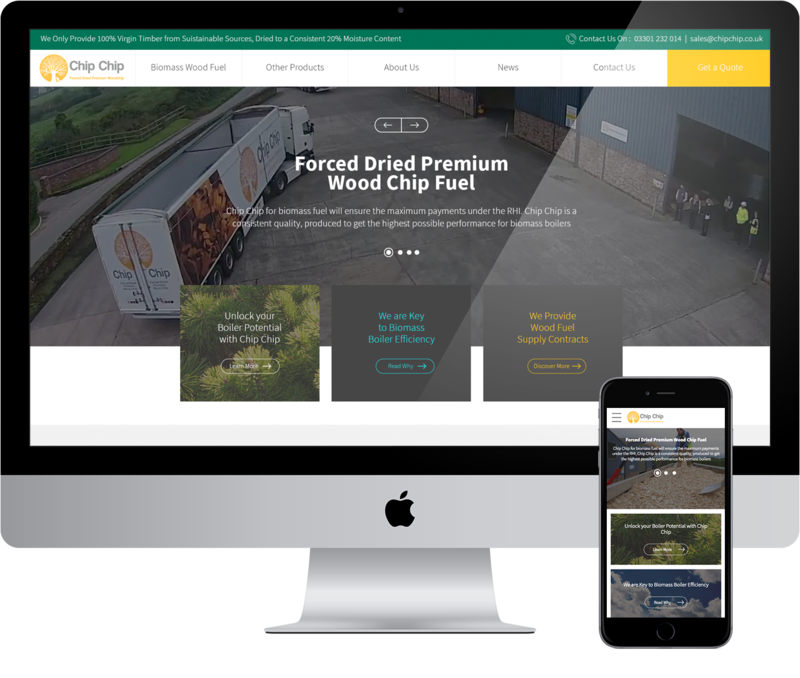 The Shropshire based company approached Verve, concerned their current templated website had limited functionality and was in desperate need of a fresh new design that would echo the companies values as a eco-friendly energy supplier. 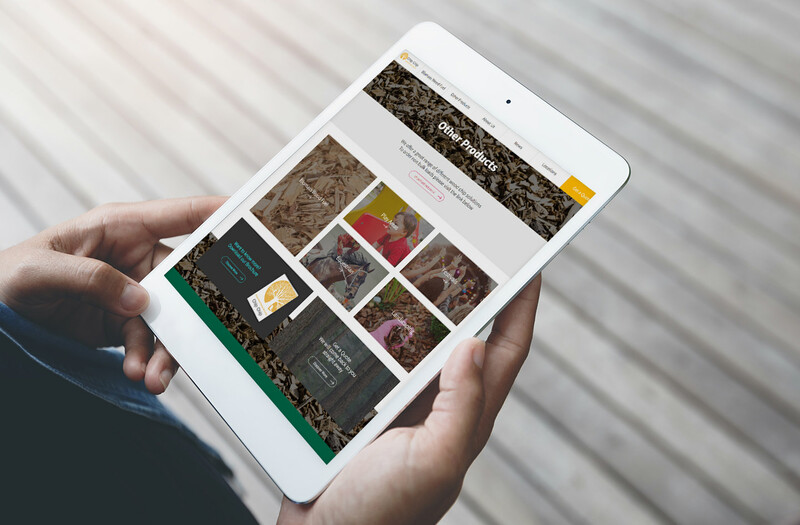 Verve created a fully responsive website and a bespoke, fresh, contemporary design with ease of navigation at its heart. This was complemented with a Wordpress content management system to provide a platform to manage their website content, pages and news posts with media rich content. 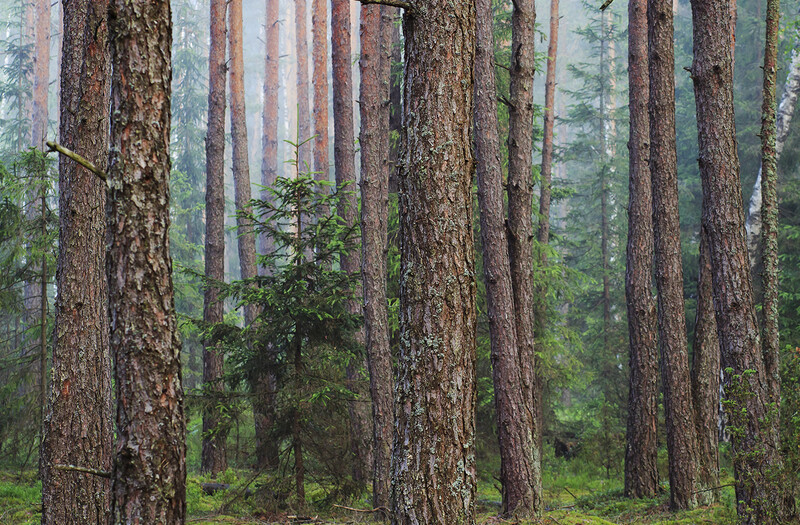 Due to the growth of the company Google maps was integrated into the site giving customers local area contact details, and locals maps for directions to their nearest supplier.